Smashed hard drives, confiscated laptops, theft of other high tech equipment and access to Democratic members of Congress online accounts. 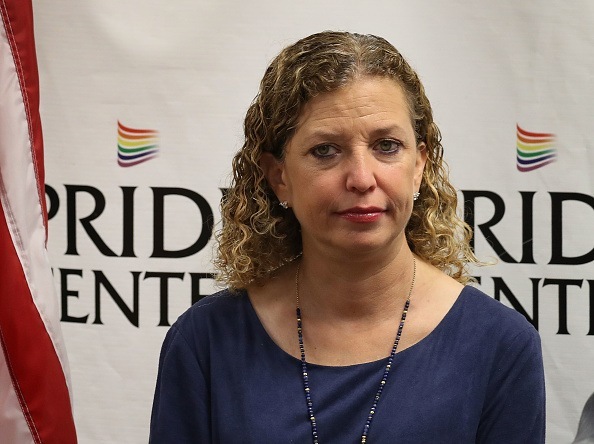 Three Pakistani Muslim brothers and their wives are at the center of a growing storm that has engulfed former DNC Chairman and Florida Congresswoman Debbie Wasserman Schultz. The whole thing was torn wide open when Wasserman Schultz’s IT director was arrested in Dallas trying to flee the country. Who are these people and how did they get into the United States might be very important questions at this point. To be clear we paid for the salaries of these criminals and what they were doing in this country is important and something we very much have a right to know. According to reports compiled and written by Luke Rosiak at the Daily Caller, Imran Awan is a Pakistani born IT aide to Schultz at least until yesterday when she finally fired him. According to Rosiak Awan and his crew had access to all emails and files for dozens of members of Congress and most notably on the list is Schultz. He held that position at the same time that critical leaks were occurring and feeding WikiLeaks damaging information about the Democratic National Committee. Schultz of course was the DNC Chair at the same time. Coincidence? Yeah I don’t really think so either. Part of Awans family has already escaped back to Pakistan but he is jammed up for bank fraud and of course trying to flee the country. He is accused of trying to steal nearly a quarter million dollars, through dishonest real estate dealings. Nice folks that Debbie hangs out with. What I cannot figure out is why after his family collected more than $4 million dollars from Democratic members of Congress in the last 8 years for alleged IT work why he would need to steal more. I mean it appears they’d already been robbing the American taxpayers blind. Until just last week Wasserman Schultz had refused to give the password for a computer seized by capital police months ago and had fought very hard and on camera for its return but to no avail. Some sources familiar with the story are now suggesting she may have struck a deal with the Feds to avoid prosecution and help them bring down the Awan crime family. We will keep you posted on the actual case and actual facts as we move forward.